No trip would be complete without a bit of craft tourism. Although we only had 5 short days in the Big Apple, we managed to hit up two craft legends in a big way. 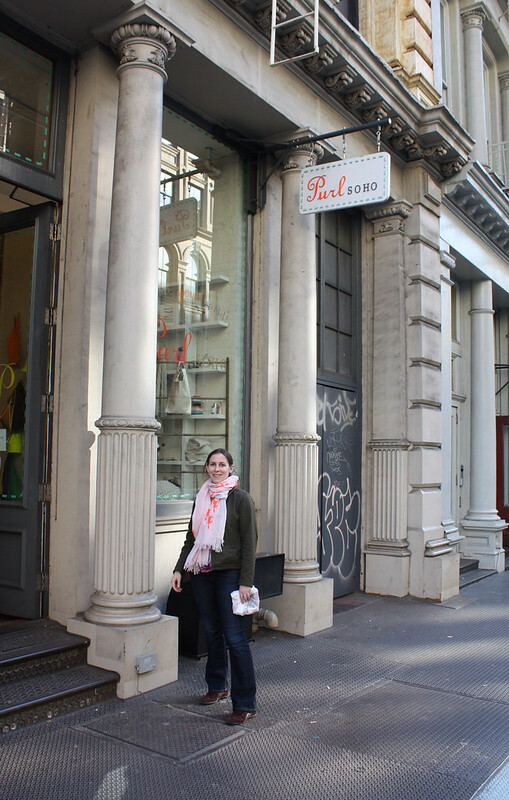 First up was Purl Soho. Amanda went for the Liberty and Kelsey went for, well, everything. Although it might look like it in this picture, Purl Soho is not for giants and Amanda is not what you would typically call vertically challenged. We made it to Purl about a hour before closing time and it took us until closing time to decide what lovely things would be following us home. 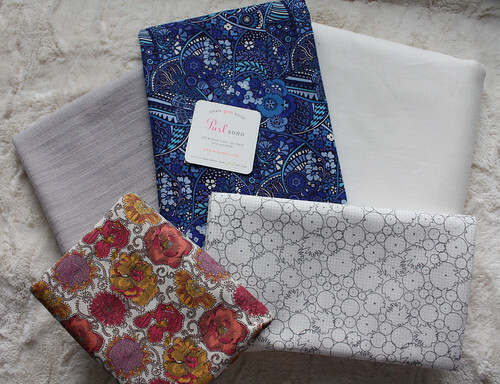 Kelsey bought fabric to make a new bag and her very first Liberty Tawna Lawn!! 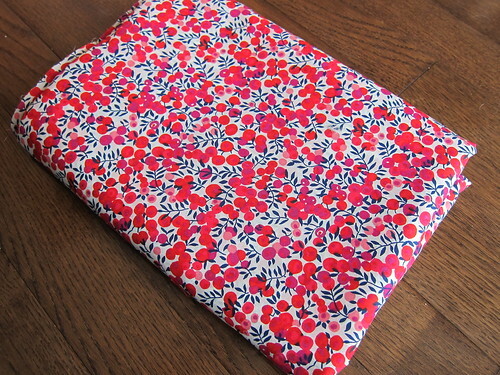 Amanda walked out with 4 yards of a gorgeous Liberty print that she's had her eye on for months now. 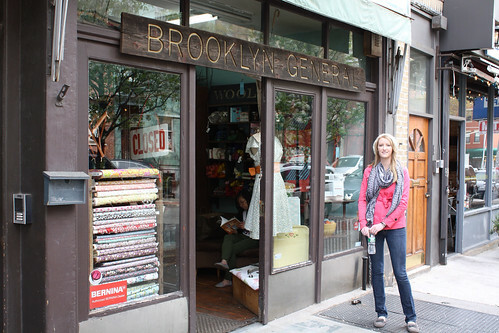 Later in our trip we made the trek to Brooklyn on the subway and found a beautifully serene community. 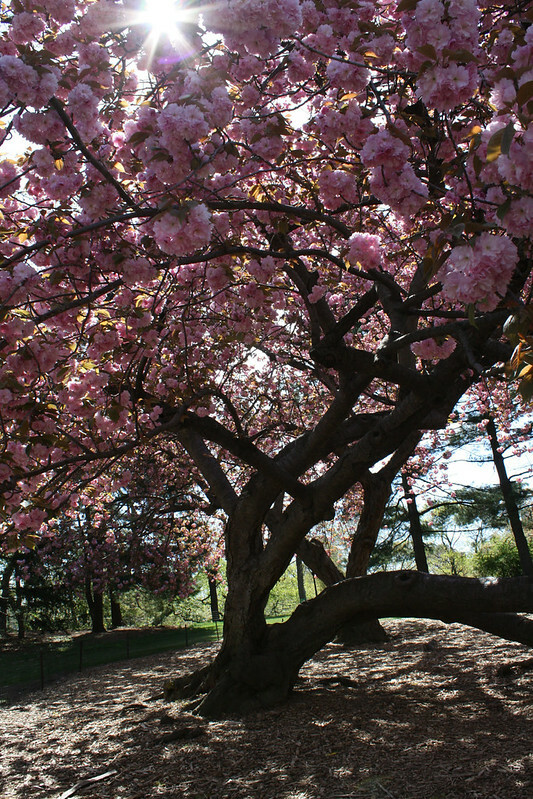 We were greeted by an idyllic shower of flower petals and streets full of beautiful flowering trees at every turn. 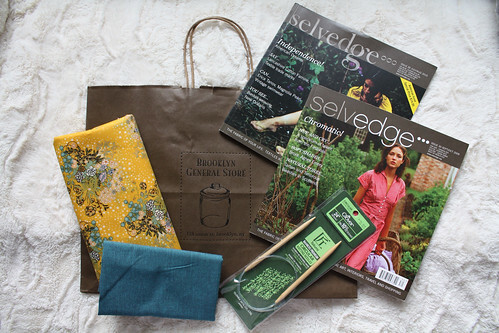 The gorgeous scenery followed us all the way to the Brooklyn General Store. Amanda was so excited to start sifting through the lovely things at Brooklyn General that she couldn't even wait until Kelsey was smiling to take this photo! Meh, close enough! This place was WELL worth the trip. Look at these shelves! 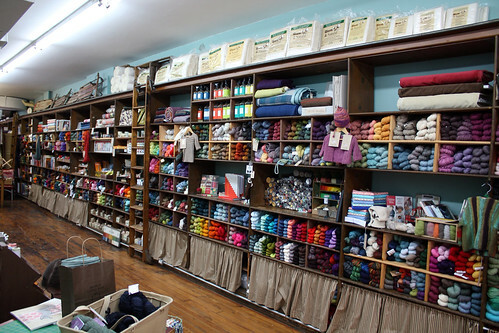 As a visitor it would be easy to lose an entire day there - this photos is just the yarn selection. 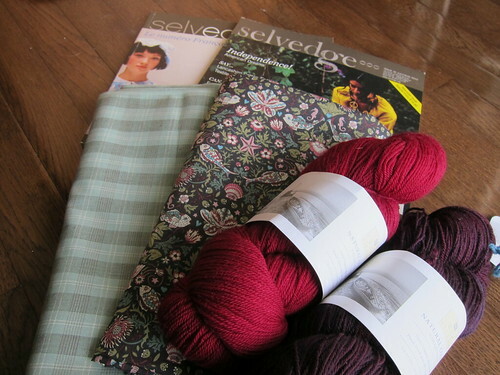 There's still plenty of fabrics, notions and patterns to sift through. a healthy stack of delicious yarn. 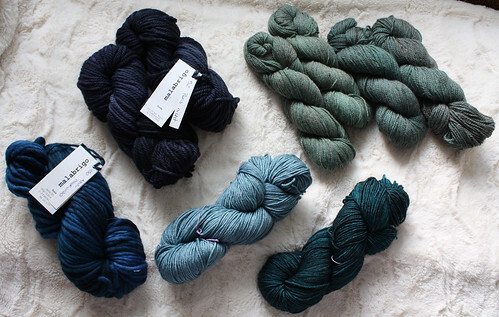 Amanda found some more Liberty (she might have a problem), a woven cotton, and a bit of gorgeous hand-dyed yarn. 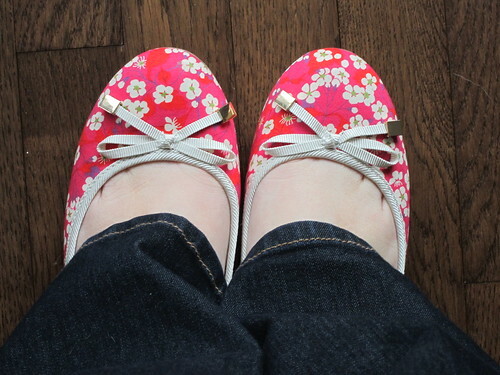 We couldn't leave the city without each picking up a pair of Liberty flats to round out our haul (told you, Amanda has a problem). All in all, a healthy haul!